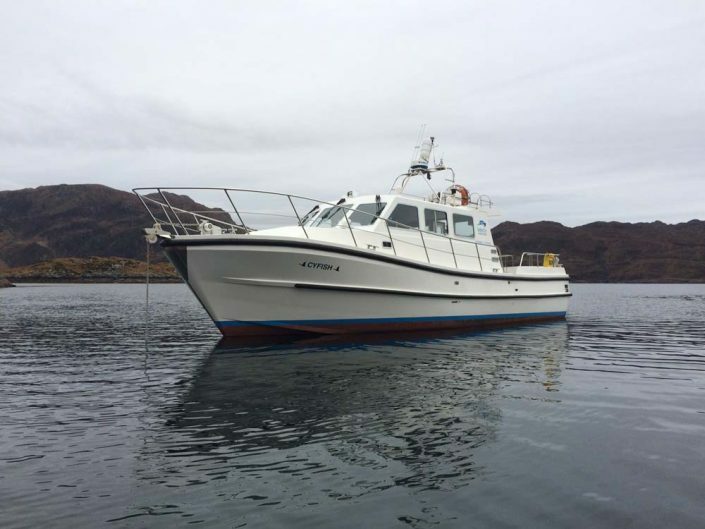 Our vessel is an ideal platform to cruise on and experience the hidden treasures to be found in this unique area of Scotland. Few vessels will match the quality of our boat CYFISH, she is a custom build and finished to a high standard by the British makers Cygnus from Falmouth and launched in 1999, when attention to detail was priority with a high standard of finish inside and out. 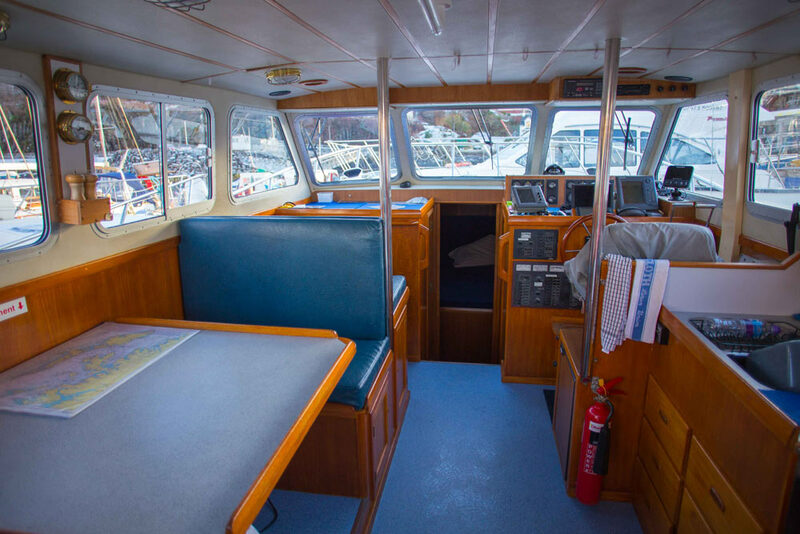 The vessel has a specious deck area with comfortable indoor seating which has good visibility and is also heated, makes this the perfect vessel for wildlife spotting, sea angling and slow adventuring from in all seasons. Our vessel Cyfish is berthed at the Mallaig yacht pontoons and spend time cruising on the seascape’s around the Isle of Skye, Knoydart & the small isles of Muck, Eigg, Rum & Canna. The Cyfish is coded and randomly spot checked by the marine coastguard agency. The Vessel is maintained by myself and certified electricians & engineers to a high standard. 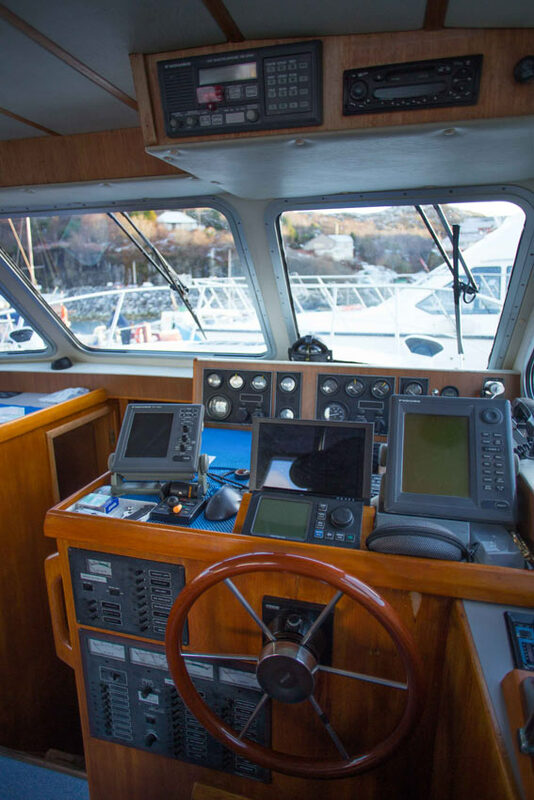 Twin 320hp inboard Volvos and a solid sea worthy hull will give you piece of mind that you are in safe hands, with this excellent charter vessel. 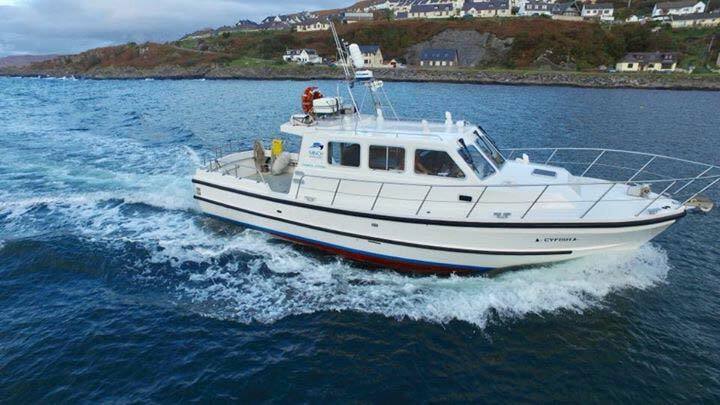 Private Slow Adventure and wildlife cruise charter hire from £500.00. 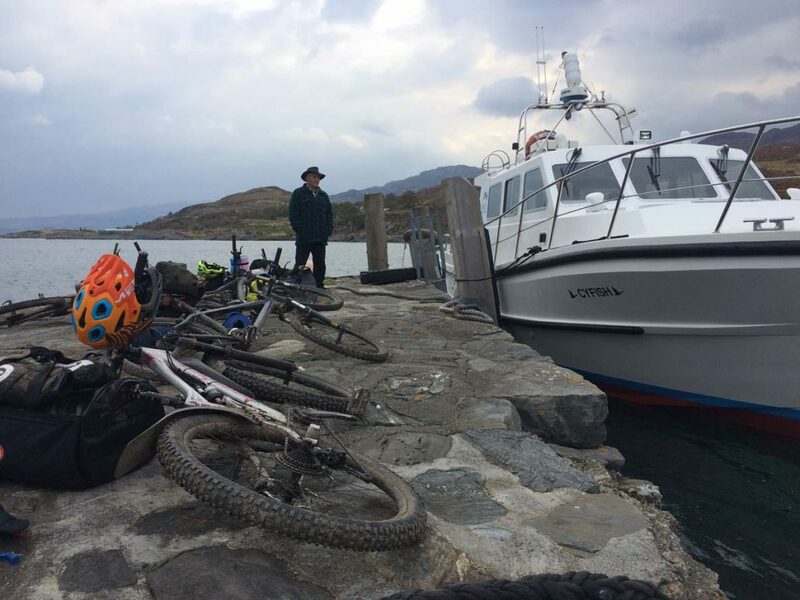 Mixed groups booking available for £65.00 per person on the Loch Nevis cruise. 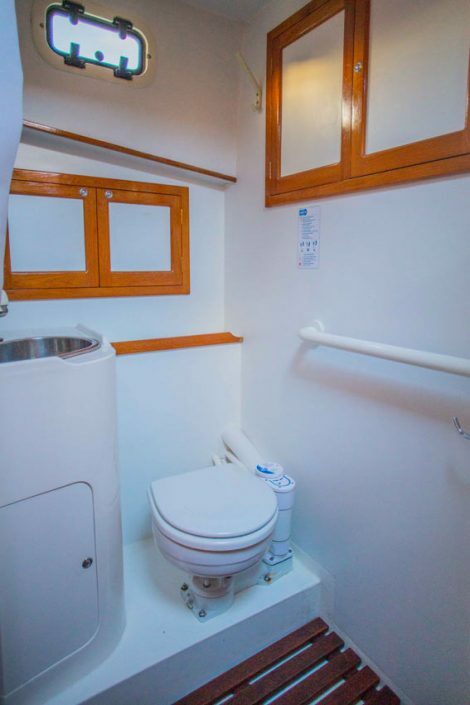 Maximum passenger capacity 12 persons. 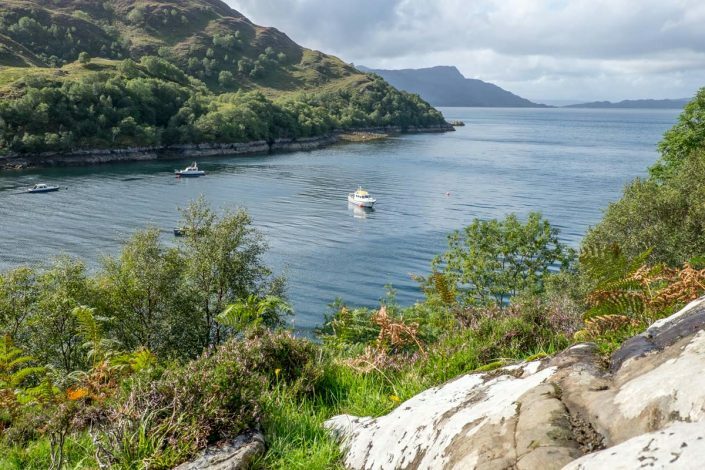 We also offer private sea taxi service to the small isles of Muck, Eigg, Rum, Canna and to Knoydart, Armadale, Tarbet, Barrisdale and Kinloch Hourn. Our vessel offers the ability to opens up an abundance of options from walking in remote areas, mountain bike drop off, wildlife watching, island hopping, remote dining and reaching those inaccessible places which can only be accessible by boat.